The rigging screw can be pulled apart to feed them through any centre posts. You will need to drill 8mm holes through the center posts. 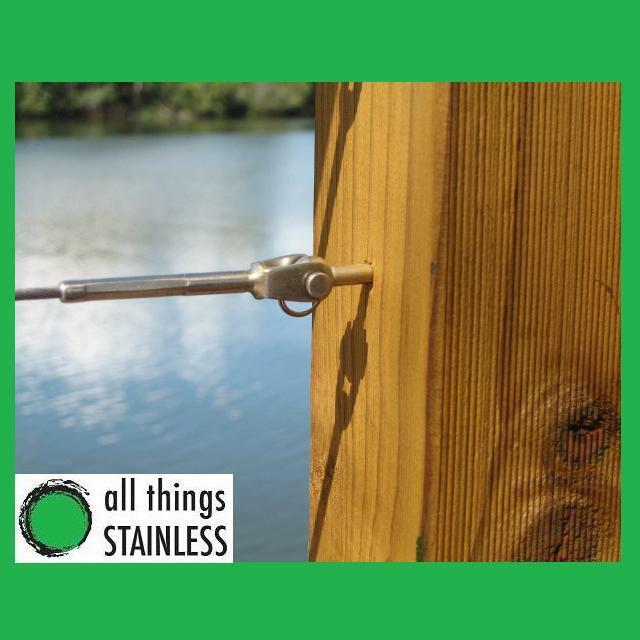 The end posts will require a 3mm pilot hole for soft wood or 4mm for hard wood. If you are not sure how many wires/kits you require see our Balustrade Regulations page for more information.